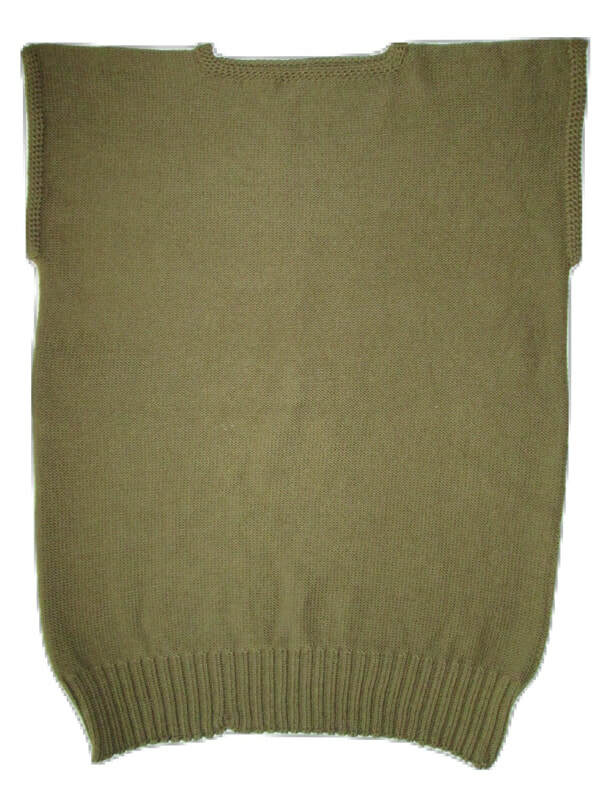 All kinds of vests and sweaters from original Great War patterns. Also, a few extras such as a chest protector and sleeves. I knit all these items from soft, pure wool that is available in many colors. Please feel free to contact me with any questions or to custom order your reproduction items. The chest protector is $45. Vests are $75. Sweaters are $120 to $160. 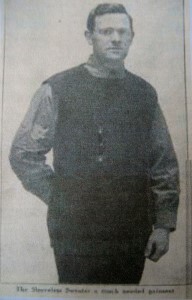 This is the basic sleeveless sweater vest which was the standard design for the WWI sweater vests. Another of the vests I've made. 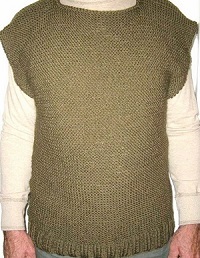 This is one of the sleeveless sweater vests I knitted in an olive green colored wool. 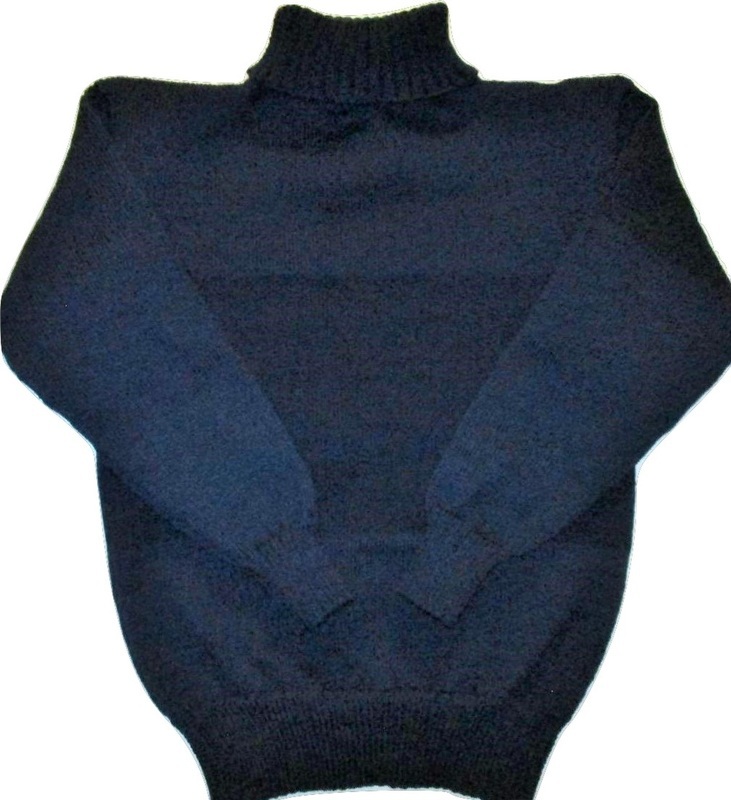 Here is one of the vests made in an XL size. This is the ribbed armlet sleeve. This is the plain armlet sleeve. 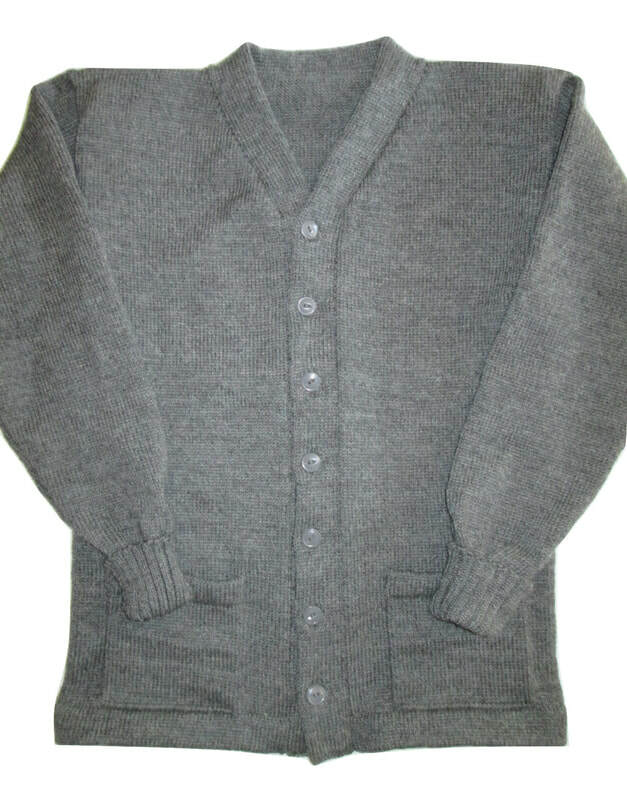 The sleeveless sweater vest pictured here is just about the same as the first one on this page. This is the official Red Cross photo. 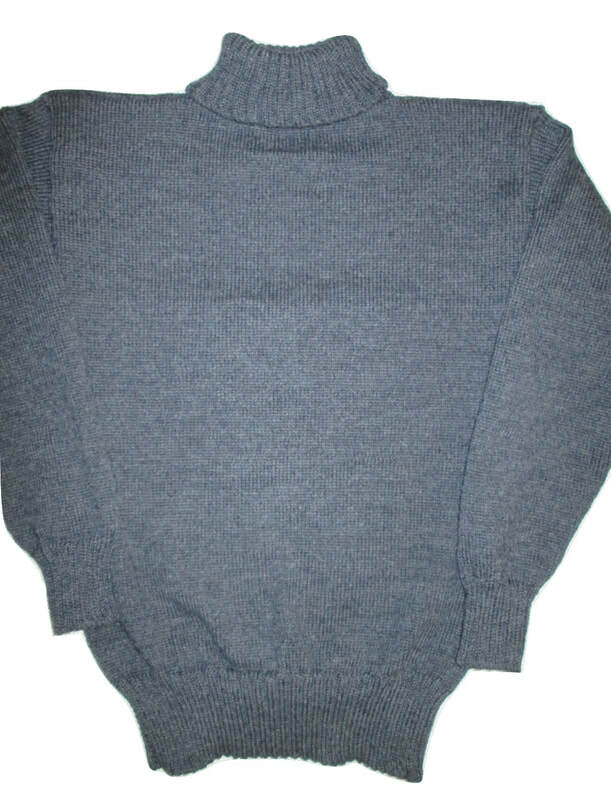 This is called the Plain Jersey; it's actually a turtleneck sweater. Photos of some I've made below. 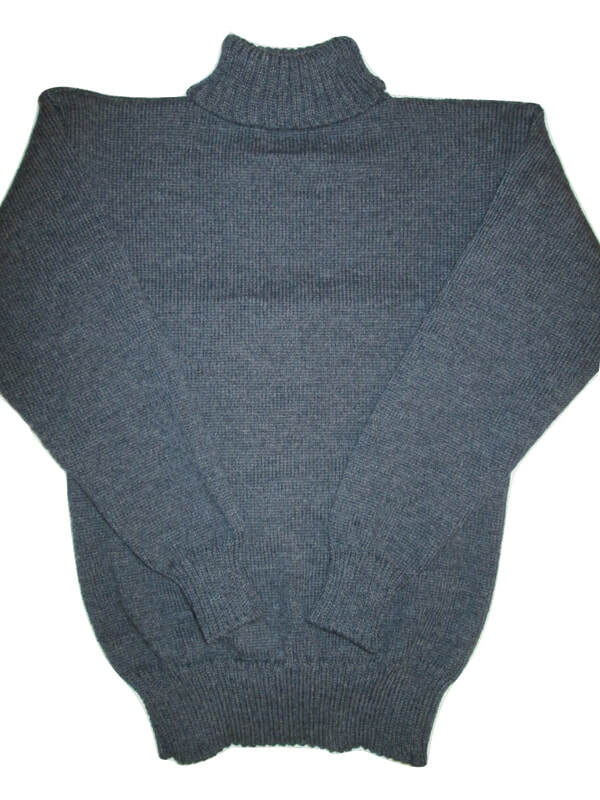 This is one of the Plain Jerseys (turtleneck sweater) that I knitted. 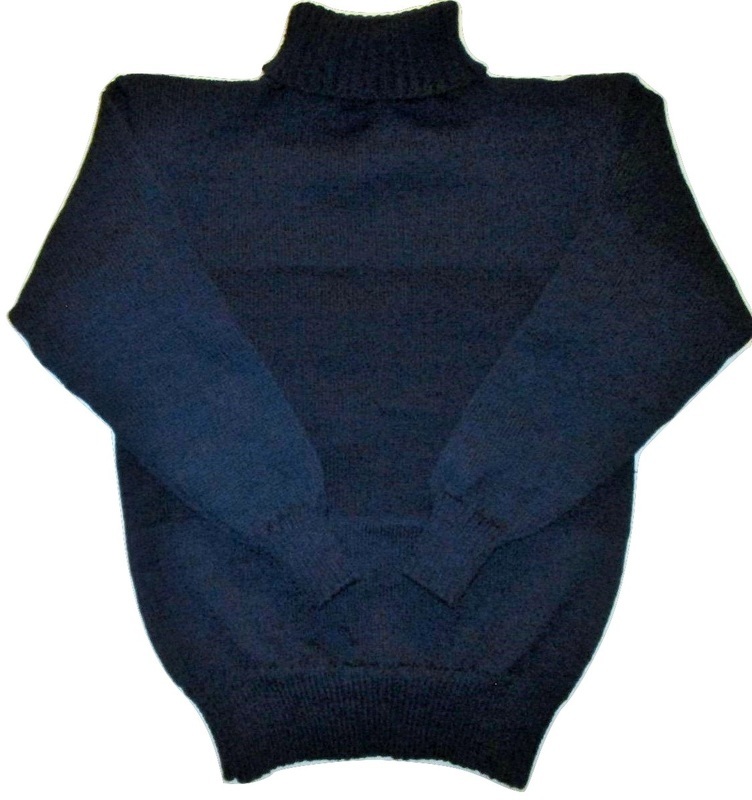 The pattern uses navy blue yarn, which I also used, but I've knitted them in other colors too. I knitted this one in a unique color. It's called onyx and is a blend of black and gray with heathering. Another photo of the same sweater at left, but in slightly different lighting. This is called the Coat Sweater. It has five buttons and there is also a six button variation. This is the Coat Sweater I made. There are a few variations of this coat sweater. 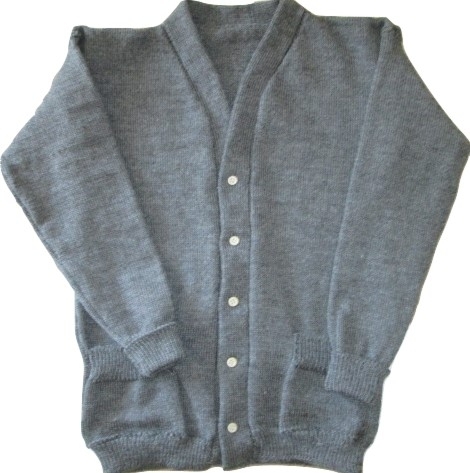 Some have an extra button, some have buttons on the pockets, and/or ribbing variations. 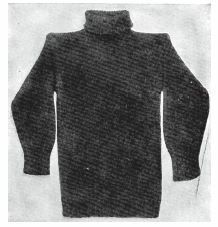 This is a variation of the Coat Sweater. I made it specifically for a Boer War era reenactor, based on a photo he sent me. 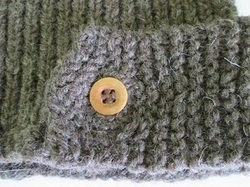 I knitted it in navy blue wool and used white porcelain buttons. 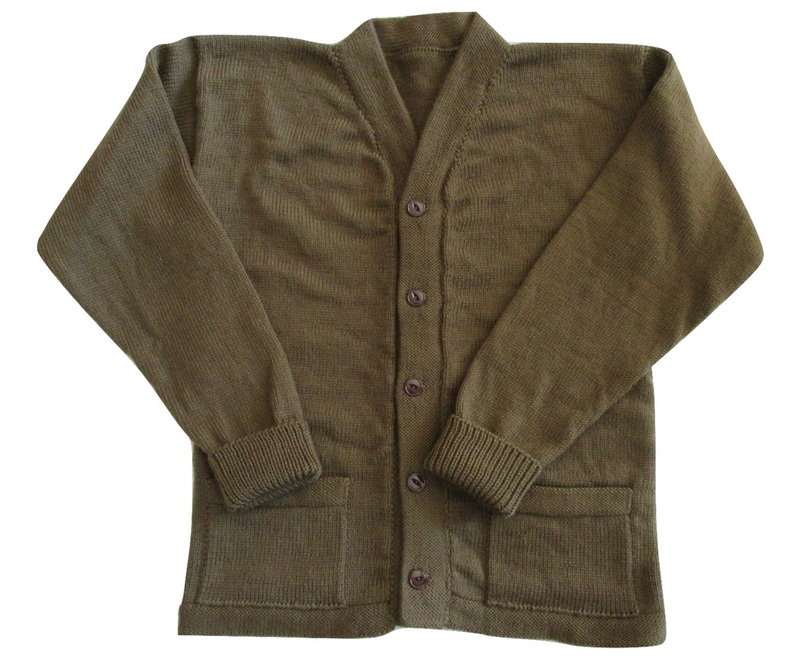 I made this Boer War style sweater/cardigan with olive drab wool. 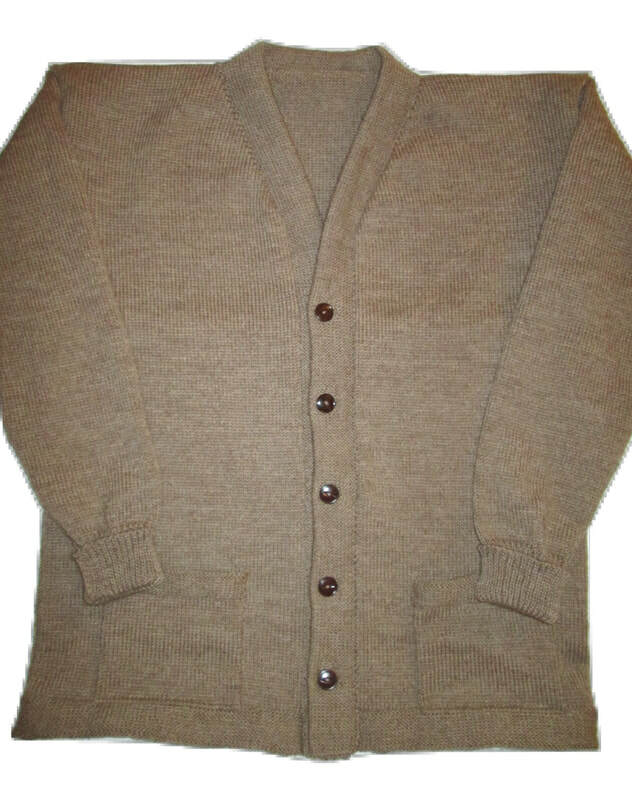 Another Boer War sweater coat/cardigan in khaki wool this time. 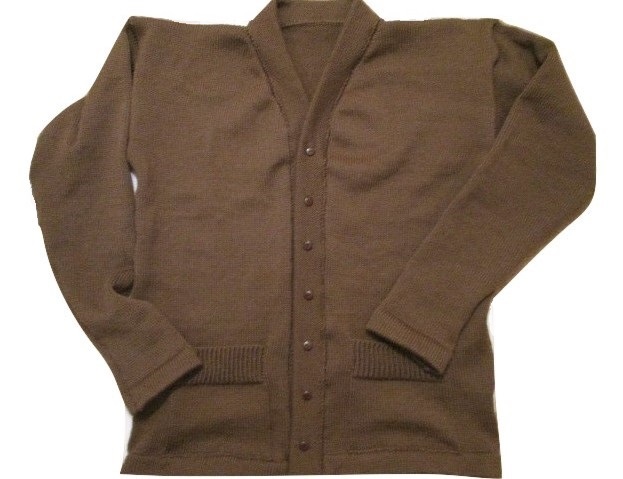 Here is a 7 Button Canadian Cardigan I knitted in olive drab. 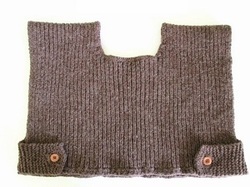 This one has ribbing on the pocket tops. 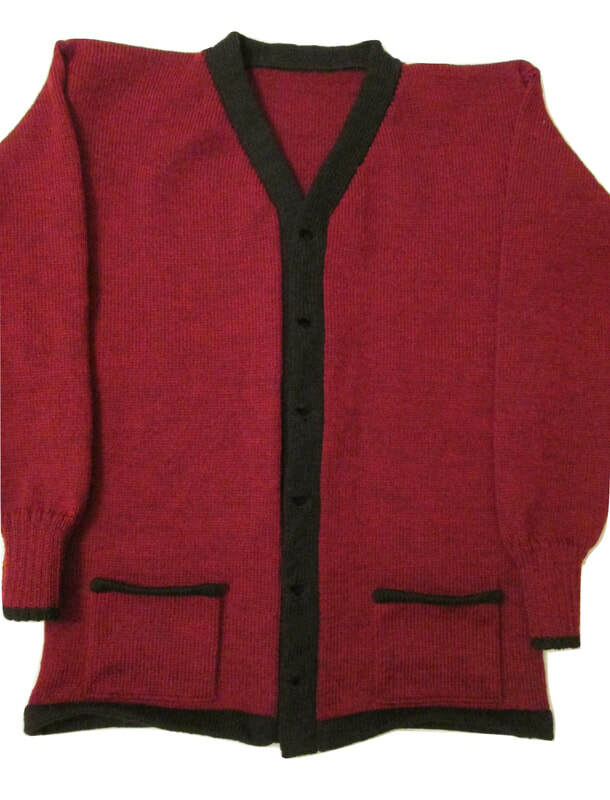 This is another 7 Button Canadian Cardigan without ribbing on the pockets. 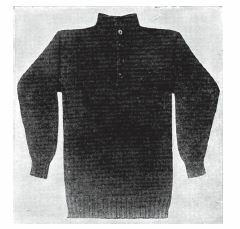 I knitted this sweater with black yarn using the WWI Plain Jersey pattern and then I used white wool felt lettering. This cardigan I made is not a specific war pattern, but the pattern is from 1918. 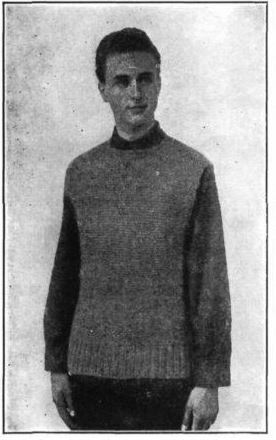 It is in a 1918 pattern book of casual knitwear. I have posted it here to show the two-tone color, which I really liked. 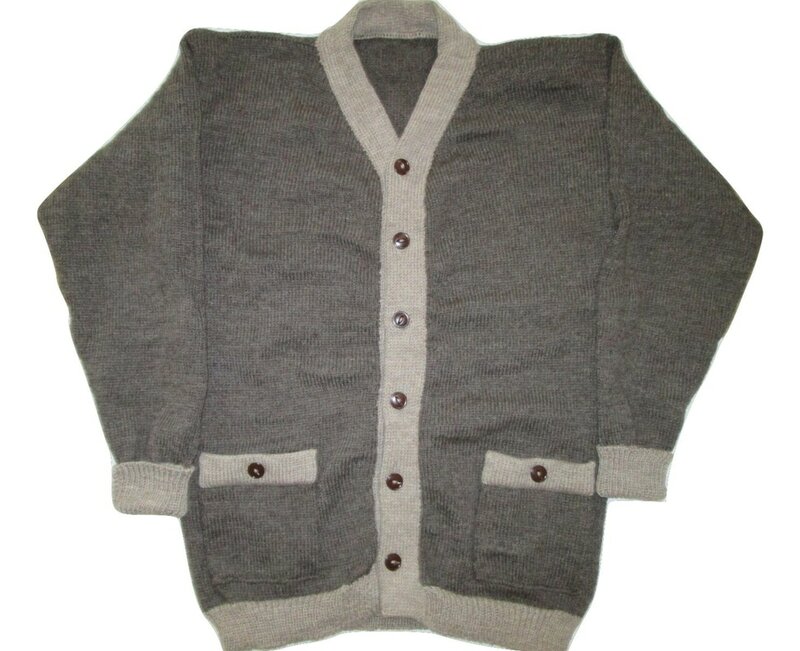 This cardigan sweater features buttons on the pockets. 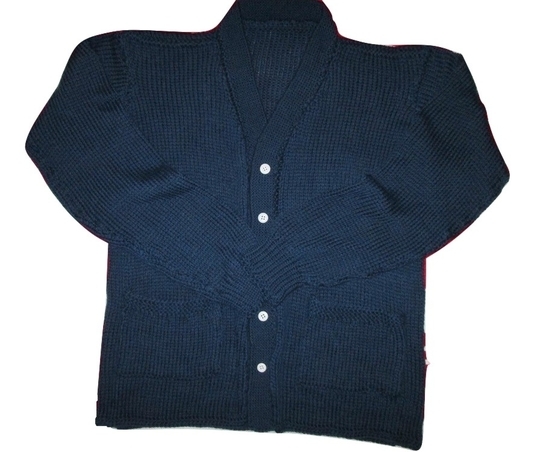 One of my British style cardigans. 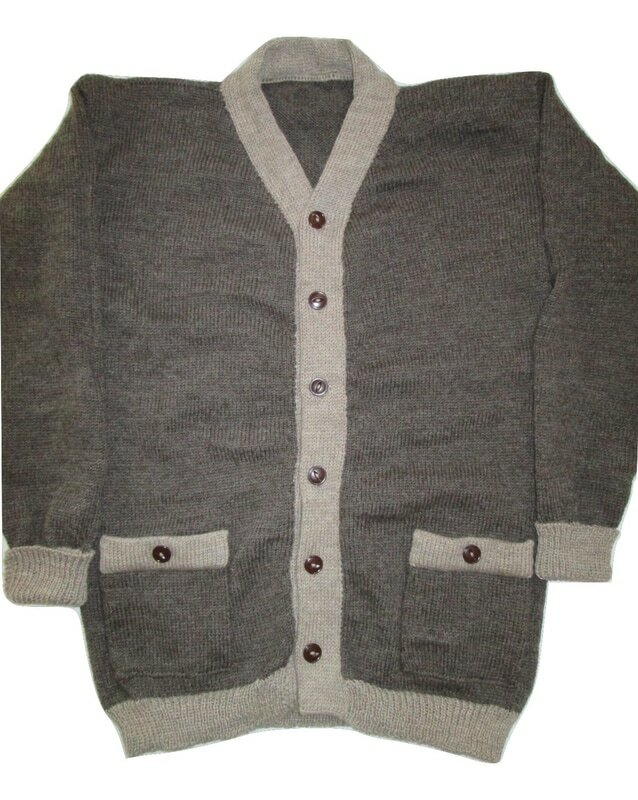 I originally made this type for a customer who had an original British cardigan photo. 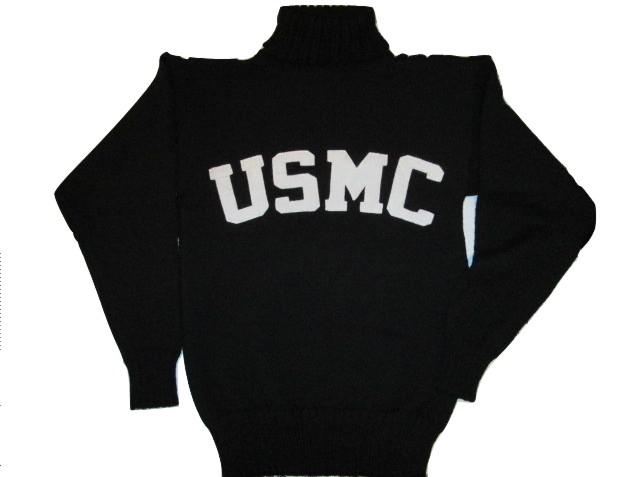 Here is what's called a Naval Jersey. It has buttons only at the top. 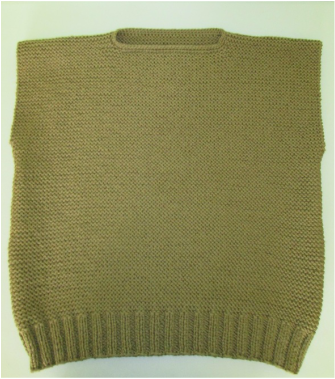 This is a brown wool chest protector I made. It covers the chest and upper back. This is a close-up of one of the bone buttons that I used for the chest protector straps.